You can run a new report as soon as you have saved the data set by clicking the Run New Report button in the upper right hand corner of your screen. 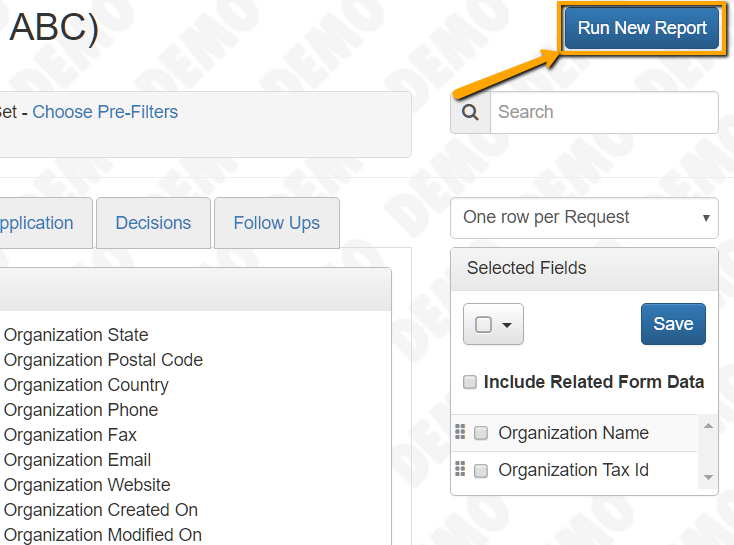 Another way to create a new report is by clicking on the Run Report button associated with a data set you have already created under the "Reporting Data Sets" tab. 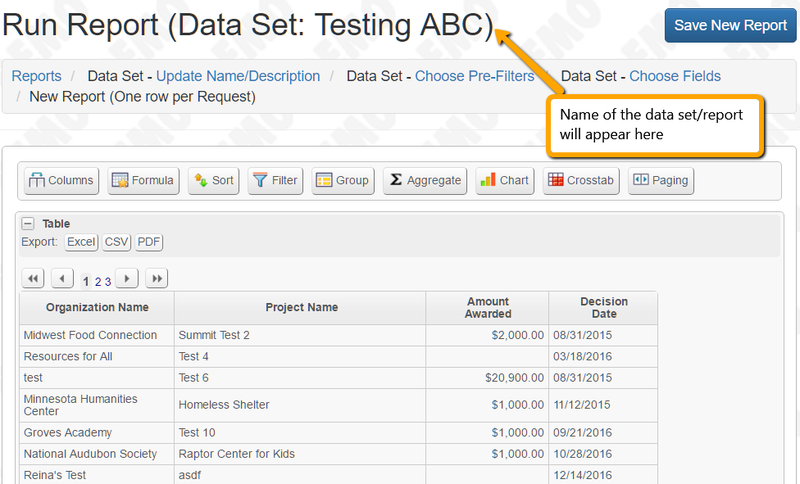 Once you run a new report your data set will open in a new tab. Once you have created a new report, you can save the changes you have made by clicking "Save New Report" in the upper right hand corner of your screen. 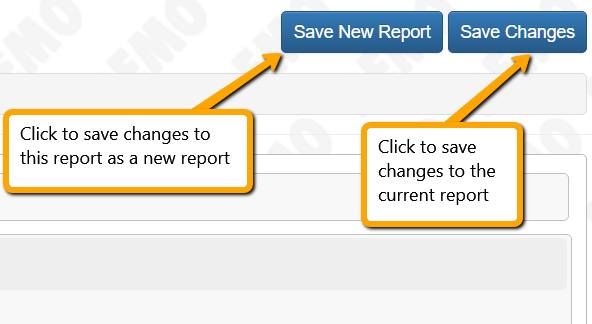 When editing an existing report, you can save the changes you have made by clicking "Save Changes" or you can save the changes as a new report by clicking "Save New Report."